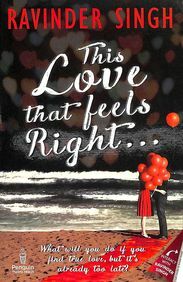 About the Book: This Love that Feels Right. . .
Ravinder Singh is the bestselling author of I Too Had a Love Story, Can Love Happen Twice?, Like It Happened Yesterday and Your Dreams Are Mine Now.